One subject that’s bound to cause a lot of discussion in the months before your wedding is whether or not you’re going to have children around on your big day. Different people have different views. We’ve listened to a lot of brides talk about this point and so here are our thoughts on the matter. If you don’t want children at your wedding then that’s your choice. It’s your big day and you can organise it as you wish to. You might be having a chic dinner and dance in a city centre hotel after your ceremony there and don’t see children as being part of the picture. If you don’t want children to come to the wedding then you need to make it clear to the parents. Of course, this may mean that some of your friends can’t come to your wedding at all due to problems with childcare. Or maybe your friend has a young baby that she can’t leave for long. On the other hand, with prior notice, some of your friends may organise things so that they can come child-free and enjoy some grown up time without parental responsibilities! If you’re having young pageboys and flowergirls, then it might look a bit odd if you ban your friends from bringing their own kids. Just saying. Also, it will be good for your young attendants to have some children their own age to play with. Children love having a job to do. So get some confetti cones made up before the ceremony and ask one of the ushers to hand them out to kids as they leave so they can throw handfuls at the newlyweds as they emerge. Makes for a wonderful photograph! Maybe ask your photographer to gather together all the children at your wedding and have your photo taken with them. It’s a good idea to do this early on whilst they are still looking spruce! 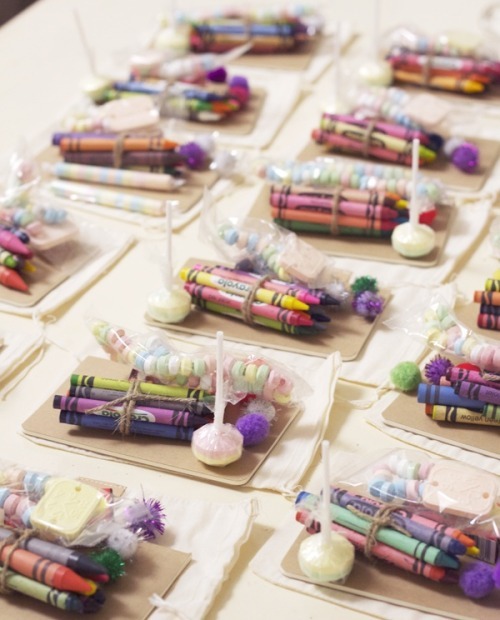 If children are welcome at your wedding, then you need to make some arrangements. Make sure that local hotels are child-friendly and have family rooms. Don’t expect young children to eat the same food as the adults. If you’re serving a formal three course meal you’ll need to offer something different for the kids. Maybe a pasta dish? Talk to your venue about what’s available and ask the parents what their children particularly enjoy. Put kids on a party table of their own – they don’t have to sit with their parents. Then you can dress it in party style and serve party food on plates. One of our stylists will help you with this – maybe you have a table for the boys and one for the girls – in different colours? Oh and remember to put child-orientated wedding favours by their plates suitable for their ages. Maybe coloured pencils and colouring books. Our stylists will have plenty of ideas here. It’s not a good idea to put teenagers with young children. They want to have their own fun. Have a teenage table instead. Most kids would love to have a sweetie or dessert table – don’t feel you have to serve pudding to them. Children probably won’t want to sit still for long and may well want to leave the table to run off and explore, maybe coming back for the speeches, cake cutting and dancing. So it’s a good idea to have a chill-out room in your venue for kids to play games and watch a DVD. If a responsible adult can be in there so much the better. See what your venue suggests. If your budget permits, an entertainer for the children is a fantastic idea. Maybe a magician who can do tricks at the table and a magic show in the chill-out room? A photobooth is a fabulous way to entertain kids as well as adult guests. Make sure you have plenty of props – hats, funny glasses, feather boas, fake moustaches – so people can get their own look! If you’re marrying in the summer in a marquee or a place where there are lawns, put some games out for playing with. We’re thinking giant Jenga for starters. Again, this is something you could discuss with our stylists who will have plenty of ideas to suggest and can source the items for you to hire. (You can find a wedding stylist local to you here.) They can do a lot more than just dress up your marquee and organise chair sashes!